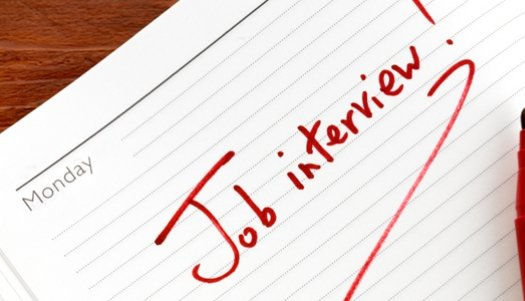 Interviews can be a tricky business, especially when you work in sales. The pressure is on for you to deliver an outstanding sell on a product you know inside out – yourself. But still, many salespeople commit the same fatal errors when it comes to interviews, which ultimately stops them from getting the job. These are my top 10 tips on how to succeed in a business to business sales interview. No good salesperson would ever turn up to a pitch without doing serious research, and interviews should be treated in the same way. The internet holds all the data you need and there is simply no excuse to turn up to a sales interview only half prepared. Ensure you research the company, the role, use LinkedIn to check out your interviewer’s background. Identify competitors and have a look at their sites. For candidates really looking to impress, go past the home page of a company’s site and read their recent press releases. A great way to really understand what is current in the company and provide some more interesting content for your questions at the end. Remember the basics, wear a plain, smart suit to the interview. Stand in reception, or at the very least stand to greet your potential future employer. Ensure you have a decent handshake. The way you greet the individual interviewing you will be telling on the way you will greet the companies’ clients. And you only get one chance to get this right. After over a decade (possibly more) in sales, I am still amazed how many salespeople don’t know their targets, achievements, and KPIS. These are vital to success in an interview. Strong salespeople know how they performed against target, month on month, quarter by quarter and year on year. Even if you have missed target, knowing the numbers is important. You can only be honest in this situation, but you can explain what your plan moving forward is to ensure you will get back on track and make up the deficit. On a similar vein, don’t make up the numbers. Typically you will get caught out during the interview, or even worse, when a reference is taken post an offer of employment. Sales interviews tend to split into two parts, the first being very fact and figures orientated and the second focusing more on competencies. Ensure you can answer questions like the following with specific answers. If you have a history in sales, then be prepared to show it off. Collecting ‘evidence’ of your ability throughout the years is a great way to present yourself at interview. You can include league tables, performance statistics and P60s. If you really want to wow the interviewer, take some time and work out your closing ratios and efficiencies. The more you know your numbers the more you are likely to impress. Competency interviews are becoming increasingly common, and can flummox even the best of sales people. Competency questions will ask you about a certain skill and get you to give an example of how you have used it. Answering the questions can be tricky if you are not used to them. It is easy to get distracted and waffle on. Using the STAR technique is a great way to keep control of your answer and give a strong answer. Task: Explain the task, what were you expected to do? Result: How did it end – what were your results? The most important part of a competency answer is how you describe your actions and results. Be concise, talk about what you did not what the team did. Make sure the situation you describe highlights your skills as a salesperson. Good salespeople often have a natural ability, the ‘gift of the gab’ as they say. However truly exceptional salespeople understand that there is a process that accompanies the sale and a strong degree of planning. Ensure you can speak the interviewer through the sales process comfortably, and you can explain how you manage your day, week, and of course, that all important account base. The way to understand a client’s needs in sales is through effective questioning. As the interview draws to a close and you are given the opportunity to ask your questions; make sure each one counts. Think outside the box, question about the businesses growth, use information that you found in your research to formulate intelligent questions. Identify what the business needs in a new salesperson now and for the future. Don’t be afraid to ask what concerns the interviewer has about you, the only way you can objection handle effectively is to know what the objections are. Then get ready to close…. Like any good sales pitch, you need to close the interview. If you want the job, then tell the employer, explain why you want to work for the business and why you think you would be a match. Clarify the next stages and if all signs are positive ask to move forward in the process, if not how else will you know if you have won the business?